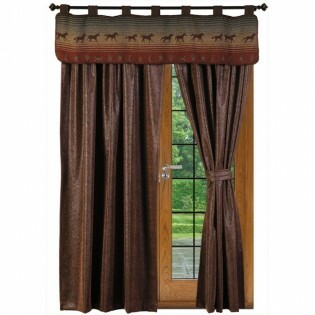 Add a bit of rustic western flair to your windows with the Stagecoach Drapes and Mustang Canyon Valance. These rustic drapes are faux leather with an embossed floral design. Matching tie backs are included. The Valances is dark tones of brown, rust, navy and tan. These warm desert colors are featured in horizontal stripes with images of running horses, stars and cactus on this western style tab top valance that will give your room a rugged ranch look. 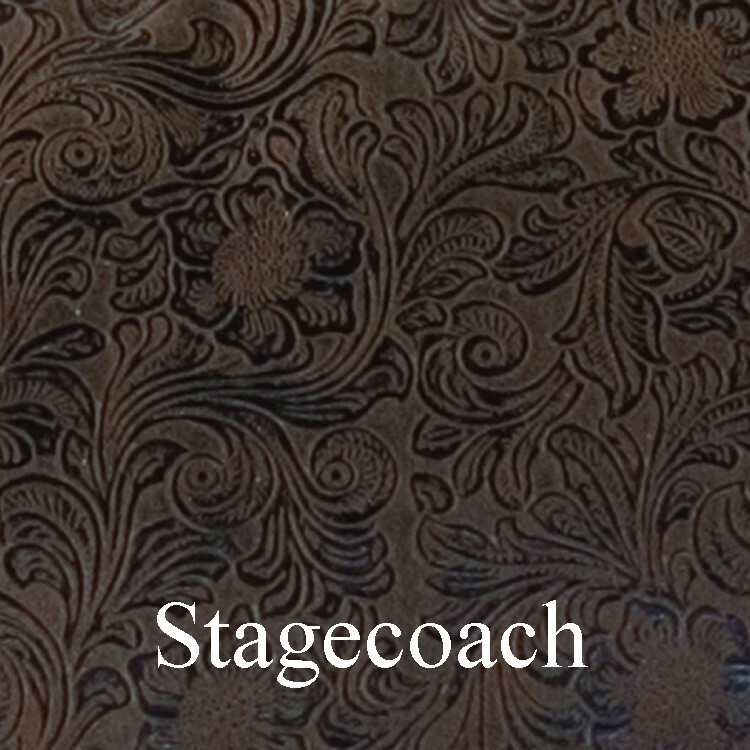 Add a bit of rustic western flair to your windows with the Stagecoach Drapes and Mustang Canyon Valance. These rustic drapes are faux leather with an embossed floral design. Matching tie backs are included. The Valances is dark tones of brown, rust, navy and tan. These warm desert colors are featured in horizontal stripes with images of running horses, stars and cactus on this western style tab top valance that will give your room a rugged ranch look.